﻿ Hotel Casa 1800 Sevilla Seville. JIMAT di Agoda.com! 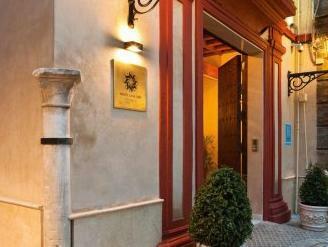 Dibina di sekitar sebuah halaman, hotel mewah ini terletak di sebuah rumah besar abad ke-19 yang telah dipulih semula, bersebelahan dengan katedral di Seville. Bilik-bilik yang elegan di Casa 1800 menawarkan balkoni-balkoni asli serta perabot ukiran tangan yang indah. Hotel ini menawarkan teres di atas bumbung dengan pemandangan yang menakjubkan ke Giralda. Wi-Fi percuma ada terdapat di seluruh rumah dan perkhidmatan pendandan rambut juga disediakan. Sarapan bufet yang panas dan sejuk disajikan di Casa 1800. Teh, kopi, minuman ringan serta pastri yang percuma disediakan setiap malam. Casa 1800 Sevilla dihiasi warna-warna neutral dengan candelier serta perabot yang mewah. Bilik-bilik dilengkapi TV satelit dan air mineral percuma. Jubah mandi dan sandal turut disediakan. 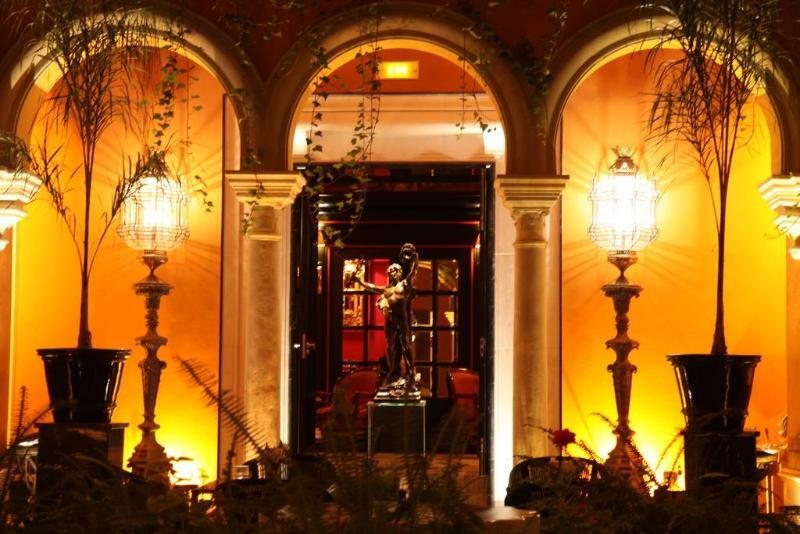 We stayed at the Hotel Casa 1800 in Sevilla. The hotel was quaint and lovely with beautiful highlights in the rooms as well as the hotel lobby. Breakfast and afternoon tea are served making it a great stopping point during the day of sightseeing before going out again for the night. Everyone was very helpful and pleasant. I would definitely stay again. We stayed in the standard room on 2nd floor for 3 nights, space utilized well and thus feel spacious. Free wifi, clean and big bathroom, kettle was provided which is rare in other hotels in Spain. Hotel provides free afternoon teas for guests with plenty of fruits soft drinks pastries and sandwiches. 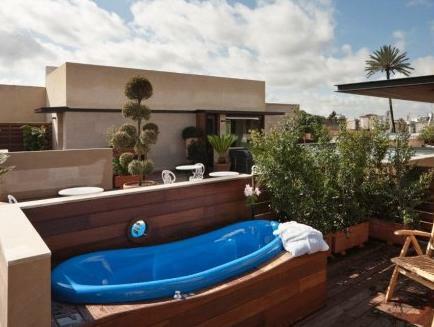 Rooftop has a small swimming pool and great view of the cathedral. Walking distance to palace, cathedral, plaza espana, city hall/shopping street and great tapas restaurants in front of hotel. We booked the deluxe suite n the hotel upgrade our room to the best one of hotel. Our room is fantastic n interior is amazing we also hv our own outdoor bath tub n the temperature is great for winter! We stayed in a Deluxe room with a private jacuzzi . The room facilities were extremely disappointing. Apart from being very small and only 1 chair to sit on (we are a couple), lighting was poor and the bathroom was not functional. By way of example to wash your hands you entered the bathroom and closed the door. The first 2 nights (Friday and Saturday) the very loud noise from the bar adjacent to the hotel entrance went until 3.30 am. On Sunday we approached reception to discuss our concerns to be told the manager would not be available until morning. On Monday we again spoke to reception to be told the manager was on holiday but of more concern we were told the hotel manager was situated in Granada not Sevilla. After some hours passed we were offered an alternative deluxe room on the 3rd floor (it was much better) and we accepted and were also offered a 15% discount on our stay for our 4 night stay. All in all an extremely disappointing stay. The property is also let down by its reception staff. Comfortable and quiet. Yes very quiet even many bars and restaurants next to the hotel. Staff are nice and helpful. Hotel itself is changed from a old building and it is beautiful. The hotel was pleasant, staff was friendly, but the best part was the location. You couldn't be more centrally located than this hotel. Walk out and a million great tapas restaurants all within crawling distance. All the historic sites of Seville within a half mile. stayed at Casa1800 over Christmas. Great location with lots to do and see in easy walking distance. Great service from the staff. 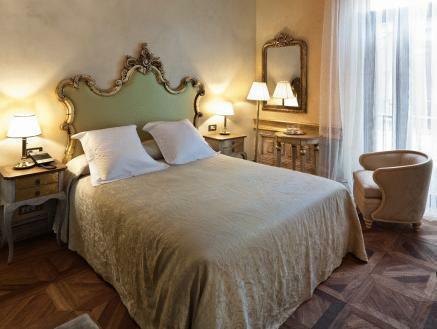 Small boutique hotel, great location, friendly and very helpful staff. Stunning hotel. We were greeted by a very friendly welcome and discovered our amazing room had a private roof terrace with views of the oldest gothic church in the World. 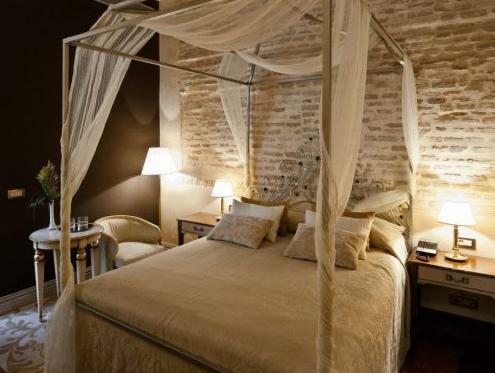 Decor is stylish and tasteful, the bed is enormous and comfortable. The room isn't huge but the outside space ore than makes up for this. The afternoon tea is a nice treat too if you're not too full from all the nearby tapas bars. Excellent hotel in a great location. This is very close to the Cathedral square and numerous restaurants. You can walk to all the best sights including the Jewish quarter. The hotel itself is very quiet once inside despite it's location. Great restaurant close by. Ask at the reception. Free wifi, free afternoon tea and snacks which is great. The rooms are spacious and well decorated. The bathroom was also very modern and very clean with good amenities. Breakfast was comprehensive for Spain and you can get eggs cooked any way you like. We spent 3 days at Casa 1800 Hotel & one of the days was our wedding anniversary. We pre-alerted the hotel & they had arranged for one of their best rooms for us which is very romantically set. The room is spacious with good bathroom facility & nice cosy bed. 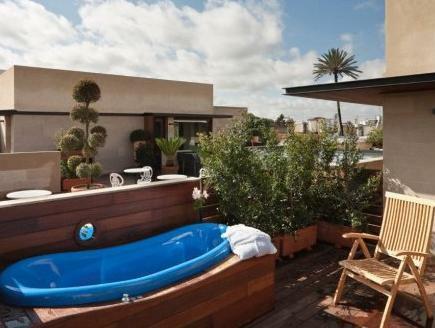 We loved it & will definitely stay at Casa 1800 Hotel if we visit Seville again!